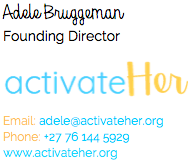 As ActivateHer is a sports development organisation focusing on girls, these entries will allow ActivateHer to engage with a new donor base of like-minded individuals who also see value in sports for health, wellness, and empowerment. We hope to build relationships with the runners who purchase entries through ActivateHer and get them further involved in ActivateHer’s work. The funds generated from these entries will go directly to supporting AcitvateHer’s PlayHer programme which provides girls between the ages of 3-7 with after school sports classes. These classes focus around building fundamental sport skills such as balance, throwing and catching, and teamwork, while also improving numeracy and English comprehension through play. Did you know? One unsterilized female dog and her unsterilized litters, over a period of 6 years, can produce 76,000 puppies. African Tails (NPO 063-755) was founded on the dusty streets of townships in Cape Town in 2006.
fund and implement Mass Sterilisation Campaigns and Education Programmes in poor communities and informal settlements. The only way of minimizing animal abuse and neglect is by reducing the number of unwanted and stray animals found on the streets of townships. The African Wildlife Conservation Fund (AWCF) is a Zimbabwean based organisation dedicated to conserving Africa’s large carnivores. The flagship species of our work is the African wild dog, southern Africa’s most endangered large carnivore. With less than 7,000 individuals left in the wild, and populations still declining, this species is in desperate need of conservation efforts. AWCF actively safeguard two globally important populations of African wild dogs in the south-east Zimbabwean lowveld, through hands on conservation work, monitoring, management driven research, community education and outreach and human-wildlife conflict mitigation. Ari’s Cancer Foundation is a non-profit organisation that specializes in aiding and assisting adolescences and young adults (AYA’s) diagnosed with Cancer. BADISA Tygerberg exist to deliver professional social and child protection services to children and families in high-risk circumstances, in order to provide safety and stability towards progress, as well as sustainable and prosperous communities. We draw on the collective expertise and many years’ experience of our staff in serving our community and strive to partner with other professionals who can help us to deliver on our vision. The Beeld Children’s Fund is a charity organization, which functions in collaboration with the newspaper Beeld. More than 5000 children benefit from this Fund every year. Since inception, more than 200,000 children have benefited, and annually about 30 development projects for children in need, are funded. • The Beeld Children’s Fund was founded in 1977 and aim to empower and develop the abilities and skills of children in need. • We are a registered non-profit organization (NPO number: 003-982), and is a registered PBO (public benefit organization), and therefore may issue Art 18A tax deductible certificates. Our mission is to raise funds to help, protect, secure and empower underprivileged, disabled and abused children. Our vision is to empower and develop children through development programs, to such an extent, that they will be able to be self-sufficient adults, free from welfare or government support. The monies raised by and for the Beeld Children’s Fund are used to sponsor 25 development projects which ranges from day care for very young kids, to preschool education, the stimulation of disabled children, therapy for abused and traumatized children, as well as extra classes in English reading and understanding, and Math classes for primary school children. We also help poor students with funds for career and trade training, as well as university studies. A Body Corporate controls the Beeld Children’s Fund, and our books are annually audited by PriceWaterhouseCoopers. The guaranteed Race Entry will form part of a 6-day train tour package from Jo’burg to Cape Town to the OMTOM. The tour price will be R6550 pp for the half-marathon and R6850 pp for the ultra-marathon. This includes transport to Cape Town and back, hotel accommodation, bedding on the train, meals, tour guide, Race entry, transport to the race start and from finish line and peace of mind. Breadline Africa believes that every child has the capacity to do something amazing with his or her life. When a child’s imagination is unlocked, possibilities are opened up, allowing them to choose a path for their own future. Breadline Africa enables this journey by providing initiatives and infrastructure to support childhood development in Southern Africa. The renovated infrastructure units are used as early childhood development centres, school libraries, kitchens and toilet blocks. In 2019 we will be running to raise funds for Lukhanyiso Educare Centre, an informal settlement on the Cape Flats. We are raising funds for a much-needed converted shipping container kitchen/toilet facility. With your help, we can provide a safe kitchen area, perfect for preparing nutritious meals for the children, and hygienic toilets, with basins to encourage hand-washing and prevent the spread of germs and illness. The Cancer Association of South Africa (CANSA) leads the fight against cancer in South Africa and is the preferred non-profit organisation that enables research, educates the public and provides support to all people affected by cancer. CANSA offers facility based care and support programmes at their 28 Care Centres that are staffed by highly professional registered nurses who deliver comprehensive cancer risk reduction, early detection and care and support programmes to cancer survivors and those affected by cancer. Our 12 Care Homes provide a home-away-from-home experience that includes accommodation for patients undergoing cancer treatment at oncology and treatment clinics. CANSA tough Living with Cancer (TLC) is our childhood cancer support programme with three CANSA TLC facilities for children/teens and parents and families affected by cancer. The Cape Kidney Association is a grassroots Non-Profit Association that raises funds to assist with the needs of patients and families suffering from Chronic Kidney diseases. The Association was established in 1978. 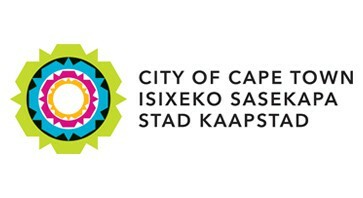 Cape Mental Health has been in existence for 105 years and has a rich history of mental health care service provision in the greater Cape Town. In the past decade our strategy has incorporated the training of people in the mental health/ mental disability sector in rural communities of the Western Cape, with a particular investment in the Eden Karoo district. Established in 1872, we’re the founding society of the SPCA movement in South Africa and the oldest animal welfare institution in the country. We’re a member of World Animal Protection and an Executive Member of the National Council of SPCAs South Africa. Over the past 145 years, we’ve diligently carried out our mission to prevent cruelty to animals through education, law enforcement, veterinary care services (operating an Animal Hospital, Inspectorate and four Mobile Clinics serving impoverished communities) and running a Kennel, Cattery, Horse Care Unit, Wildlife Facility, Farmyard and Adoption Centre, which every year places hundreds of animals in loving and caring homes. Our area of operation is vast and covers approximately 11,000 km², excluding the coastline. Last year alone, we sterilised over 5,000 animals, reducing the region’s animal over-population problem, provided primary veterinary care to thousands of animals, re-homed over 700 companion animals and responded to thousands of reports of animal cruelty. 1. A Guaranteed half or full marathon entry! 3. Team SPCA runners will each receive a limited edition one-of-a-kind SPCA/ Bravecto branded running shirt. 5. We’ll offer you lots of fundraising advice, support and tips on how to confidently ask for support and supply you with a standard appeal letter that you can use to encourage family, friends and colleagues to support you. 6. You don’t have to handle any money directly. 7. We will also be exhibiting at Two Oceans Expo from the 17-19 April 2019 and will have exciting things on offer! 8. Most importantly the personal satisfaction of running and the knowledge that your race has made a big difference to the lives of those animals forced to fight!  are more likely to be employed as adults. We work with communities in areas of the greatest neglect and poverty and our geographic area of operation covers projects in urban, semi-urban and rural areas across South Africa. Our services include ECD teacher skills training and small business management to women from the community, many of whom are under-educated but dedicated to increasing access to quality early education in their communities. We also support community-run ECD centres that lack the resources to acquire education toys and equipment and infrastructural upgrades by providing this where it is most. CHOC provides care and support to children and teens living with cancer as well as their families. By providing emotional support, transport funds, accommodation and practical support CHOC ensures that all children living with cancer are able to complete their cancer journey. Through this structured approach, its results are critical year-on-year: a 100% matric pass rate for nine consecutive years and 91% of its graduates are gainfully employed, studying or doing both. As a result, it breaks the cycle of poverty and transforms the lives of hundreds of underprivileged children ever year. The Clean C Run 2 Lead program aims to develop good leaders in Joe Slovo Park. Good leaders in the home, in school, in their community. It gives kids from these poorer areas the opportunity to take part in different running races around Cape Town. Or A fundraising option. Purchase an entry for R800 and commit to doing some (easy, fun) fundraising for Clean C (which we will help with). Both options include a Run 2 Lead moisture management long sleeve running tops. Doctors Without Borders (MSF) is a global humanitarian organisation operating in more than 70 countries. MSF provides lifesaving medical care to people caught in conflicts, natural disasters, epidemics or collapsed health systems. At the core of the Doctors Without Borders (MSF) identity is a commitment to independence, neutrality and impartiality. Edunova is a non-profit company that has been working in the education sector since 2005. Our focus is on the effective use of Information and Communication Technologies (ICT) in schools. We work in schools situated in disadvantaged communities. Edunova has a national footprint with Learning Centres based in Langa (Cape Town), Duncan Village (East London) and Jane Furse (Limpopo). FacingUP Suppport Services(FUSS)directs our determination and drive towards supporting young people and communities in making sense of loss and life-changing events , such as death, divorce and displacement.FUSS develops and delivers programmes that equip young people faceUP to their painful situations , while supporting them through the process of overcoming challenges, encouraging them to grow in resilience , and becoming positive role-players in their community. Feenix is an online platform that enables tertiary students in need of funding, to take their education funding goals into their own hands, by telling their story and sharing their experiences. Allowing individuals, just like you, to contribute to their outstanding university fees and make a positive and lasting change in their lives. Half Marathon – R800 per entry (including branded Feenix running vest) and requirement to raise and additional R10 000.00 for a student on the platform (student can be chosen at runners discretion). “Consumed by a vision of young people living lives of purpose and leading Africa into a flourishing future (despite obstacles such as poverty, apathy, inadequate education, unemployment, orphanhood, gender inequality, HIV and lack of adult role models) gold-youth was established in 2004.
gold-youth’s core service is to roll out high quality youth peer education programmes in alignment to the gold Model thereby empowering youth peer leaders in disenfranchised communities to become positive role models and agents of social and economic change. Research to date shows evidence that the gold Model contributes significantly to positive outcomes in the following areas: • Education • Social behaviour change • Job creation for youth. The gold Model draws on best practice global research, together with evidence based learnings from 123 communities in Southern Africa. The gold Model uses the methodology of Peer Education, which harnesses the influence that young people have on their peers to bring about sustained social and economic change. Youth encourage each other to make informed choices and develop health-enhancing and purpose-driven social norms. Since its inception gold-youth has provided 503 workplace internships for young people between the ages of 19 and 25 years as facilitator interns over three years. gold has skilled and mentored over 12,924 youth between the ages of 13 and 19 years as adolescent peer educators over three years who have in turn measurably reached over 40,035 other adolescents and younger children. gold-youth is a credible non-profit organization and has recently (2017) been evaluated and verified by: Tshikululu Social Investments and GreaterGood as well as winning the Impumelelo award for Social Innovation and being invited to present at the EMASA conference in 2015 ‘Education from Cradle to Career – A display of Transformative Projects that Work’. 1) Pay a R550 deposit to reserve your race number. 3) Donate what you have raised to gold-youth by the deadline (via an EFT or Givengain) and we will email you your race number and registration information. Please note: If you are not able to pay the minimum amount of R1550 you will unfortunately lose your entry and you will not be refunded your R550 deposit as we need this to cover our admin costs related to your entry. 4) Make sure that you register on the day that you are sent your number. In 2001, Hear Us was established by parents of deaf children who have cochlear implants. Hear Us exists to financially support deaf people from disadvantaged backgrounds to obtain cochlear implants and to give support to the hearing impaired and their families to realize their full potential in the hearing world. 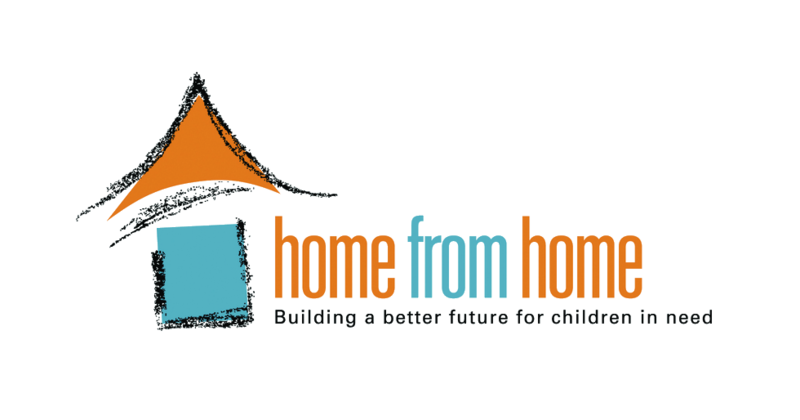 Home from Home provides supported and supervised community-based foster care for orphaned, abused, neglected and vulnerable children in South Africa. We will be charging each runner R1500 for their entry, which will cover their entry and a donation. Home from Home is one of the Causes listed on the givengain portal. Each runner is able to register on the site, to becoming an activist and creating a campaign for our cause. We also have a Snapscan facility where people can donate directly to us via Snapscan. In the run up to the race, we will be emailing our runners social media badges which they can use on their social media platforms, to let people know they are running OMTOM to raise funds for HFH. The Igazi Foundation is the only dedicated Haematological NPO in SA run by volunteers. Our focus is on educational symposiums to ensure early treatment and diagnosis of these patients. We also lobby government to improve the lives of these patients, and upgrade facilities at state hospitals. Our end goal is to ensure that we can save the lives of those living with blood cancers. The Inclusive Arts Collective is a social justice foundation that focuses on how the arts and access to the arts is an important medium through which soical cohesion and interaction can/should function. The IAC functions as a producer of high quality theatre productions, workshops and inclusive arts. Inclusive Education is a registered non-profit organisation that has since 1995, been committed to promoting and supporting the development of more inclusive practices in ordinary schools, pre- schools and other centres of learning in South Africa. Through information share and building the capacity of stakeholders such as parents, ECD practitioners, educators and school structures, we aim to ensure all children with and without disabilities are supported to learn to their potential. We have been catering to the needs of persons with visual and other impairments since 1881. Our main aim is to empower them towards improved quality of life and dignity. Our unique services include residential, care, supported living services, therapeutic and rehabilitation services to 359 adults and elderly persons with visual and other impairments. We are privileged to be the only organisation in South Africa that offers this range of services to a very vulnerable group of citizens. We will always aim to live out our vision: To measurably improve quality of life for the visually impaired. Khululeka Grief Support is the only organisation in South Africa that specialises in grief and bereavement support for children and teenagers. Many disadvantaged children and teenagers in marginalised communities in Cape Town live in the trauma and loss of violent gangsterism, abuse and neglect, chronically ill parents, and the death of parents and siblings. An independent randomised control trial with findings published in peer reviewed journal the Lancet Global Health (http://www.khululeka.org/archives/1141 ) confirms that teenage girls who attended a Khululeka grief support group showed less depression and improved social behaviour. Evidence clearly illustrates the link between sexual risk taking behaviours and depression, and the death of a parent has direct impact on school performance and retention. Khululeka has a small highly skilled and passionate staff who specialise in having difficult conversations and supporting children and teenagers, and building the capacity of social workers and child and youth care workers to provide therapeutic support in communities with high levels of violence and death and little to no access to counselling and therapy. Our focus is on early childhood development, mindful that the child’s caregiver & surrounding environment has a crucial influence on the education & healthy development of the child. We focus on growing the skills of teachers and parents to empower them to be better educators, leaders and role-models for our children, our future generation and hope for a better country. We subscribe to Nelson Mandela’s vision of educating the children of our Rainbow Nation and focus on the educational needs of under-privileged children. Cost: Please contact LumoHawk for entry ticket prices and packages. The package will include training advice and team runs. Possibly even a training camp! It will include a pre-race dinner with guest speaker, nutritional goodie bag and charity running shirt and socks. Cost: Entries for the 21km race, will be sold for R1 500 and will include a MAD2Represent T-shirt. 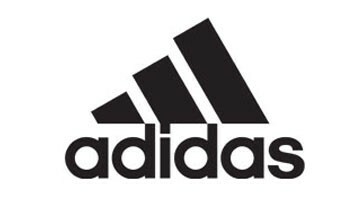 Entries for the Ultra marathon, will be sold for R5 000 and will include a MAD2Represent T-shirt. of the last leg of our 1520km journey, as we all raise funds for the MAD Leadership Foundation! At MAD Leadership Foundation we focus on identifying, supporting and developing the future leaders of South Africa. We provide a comprehensive, personal and long-term scholarship programme, offering scholars support in the areas of mentorship and personal, academic and leadership development. By focusing on the individual needs of each scholar, we ensure we maintain a personal connection to their requirements, that way providing comprehensive support for the duration of their academic career. Our scholarship is more than just a contribution towards the scholar’s academic costs. Make A Difference Leadership Foundation supports each scholar from Grade 8 throughout their tertiary degree, not only by providing financial assistance but also by supporting the individual in his/her personal and professional development as they prepare for their future. We achieve this through a multi-disciplinary team, skilled in various professions to ensure that we remove any barrier the scholar is facing in the most effective and efficient manner, so they can continue focusing on achieving their dreams, while we take care of the rest. Mamelani Projects is a registered NPO and PBO and runs a Youth Development Programme which provides support and opportunities to young people leaving Child and Youth Care Centres, and also a Community Health Programme which provides essential health information to vulnerable women in communities, enabling them to make informed choices and take action to improve their health and the health of their families. The Mangaliso vision is that all children should have the right to call a place home. Our mission is to assist safety and foster mothers to ensure that the children in her care are given every opportunity to become well-adjusted adults that can add value to society. We select safety and foster mothers according to certain criteria and they become accountable to our policies and procedures. We regular visits to the home to ensure our values are being implemented. All children in care need to be at school if school going age and we assist with the various needs that arise such as uniforms, stationery, books and transport. Electricity – poverty unfortunately will affect the amount of electricity the household can afford which then affects school work. Counselling/Therapy – many of these children will suffer from Post-traumatic stress. Unfortunately, the Department of Social services cannot keep up with the demand and children just never get to counseling. Training and support for the mothers – Many of the children placed in care will have developmental /Social/Behavior problems and mothers are not equipped to effectively assist the child. We run workshops where mothers are trained in specific needs. 1. We offer a After School Safe Spaces facility for learners in the Delft and Klapmuts area. 2. We educate the dangers of substance abuse to the users, their families and our communities in the Western Cape. 3. We offer abuse and homeless children shelter at our Uthandiwe Children’s Home in Malelane. 4. On 4th February 2019 we will start our Skills Unlimited programme to provide skills to our young adults. Muhammadeyah Primary School (MUPS) was established in 1929. The School was established to service and advance education in the greater Southern suburbs of Cape Town. What started out with a classroom for a handful of students, founded by teacher and ex-principal Mr.Salie Berdien, has evolved and now grown into a fully-fledged Public School managed by the Western Cape Education Department. 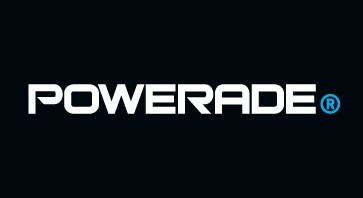 Runnners will receive a goodie bag with sponsored items. For the past 137 years (since 1881), the National Institute for the Deaf (NID), situated in the Western Cape, is the foremost organisation in South Africa providing all-inclusive services to the Deaf and persons with hearing loss in South Africa and Africa. Newkidz on the Block facilitate maintenance and renovations to facilities that care for orphaned, abused and abandoned children. We believe that all children, no matter their circumstances, deserve to live in well maintained functional houses. By doing these projects we restore hope, love and dignity to the children living there. We started this organisation to provide assistance to community members residing in the uPhongolo Municipality District and who seek assistance in the undergoing of cancer treatment and to work in collaboration with other organizations that mainly deal with cancer patients. Total cost per entry = R2 000 (funded from own funds or sourced from outside contributors – Nisunca Donation Plea will be provided). Total cost will include a custom Nisunca wearing shirt and Nisunca Running Shirt. Total cost per entry = R1 300 (funded from own funds or sourced from outside contributors – Nisunca Donation Plea will be provided). Package only includes entry and excludes shirts mentioned in Package One. “People Living with Cancer (PLWC) is a cancer survivor-driven umbrella organisation responsible for related projects with activities including cancer awareness and education, care and support, as well as advocacy. The organisation has developed guidelines that are aligned with international protocols, and in so doing, has been equipped with one of the most established volunteer psycho-social programs in the country. PinkDrive NPC, powering South Africa’s first and only mobile Women’s Health Mammography and Gynaecology Units. PinkDrive’s underlying message is ‘Early Detection Will Help Prolong A Life’. All PinkDrive units travel to rural, semi-urban and urban areas around South Africa with the aim of enabling all medically uninsured access to women’s health services. These services include free education on women’s health, free mammograms, free pap smears, free clinical examinations and how to do breast self-examinations. Popcorn Kidz is a small private organisation, trading as a Non Profit Company , that originated through the hearts of Parents who wanted the best education for their special needs children situated in Northcliff, Johannesburg. Popcorn Kidz Tutor centre was established in 2009. We give children with various special needs, whether Autism, Down Syndrome etc., the opportunity to learn and to receive a purposeful education through one to one tutoring which are cost effective to their Parents. All runners will receive a Popcorn Kidz t-shirt and cap and Section 18A donation certificate. Prescient Foundation is an NPO that believe charity starts at home. It invests in sustainable projects and believes in getting actively involved. Projects of the Foundation includes Eductaion initiatives, Leadership programs and community involvement. The education initiatives and leadership program section benefits from approximately 85% of the Foundations funds. “The Prostate Cancer Foundation (PCF) is an organisation led by a group of South African’s who have a direct interest in prostate cancer. The Foundation includes some of South Africa’s top medical specialists who diagnose, treat and research prostate cancer on a daily basis. Their medical expertise is used to develop educational materials for the public and other healthcare professionals. The Foundation also provides a forum for men whose lives have been directly affected by prostate cancer. Many of them volunteer to help with the Foundation’s educational programs or they provide support to other men who have been recently diagnosed with prostate cancer. Many of PCF’s activities are aimed at reducing the impact of prostate cancer by educating men about age appropriate screening to ensure early detection and optional treatment outcomes. The Rachel Swart Fund (RSF) has been in existence since 1960 and has since helped more than 6000 individuals living with physical disabilities. RSF seeks to improve the quality of life, independence, dignity and inclusion of those living with disabilities in South Africa. RSF will offer an upfront entry fee of R500 for both the the ultra and half marathon and a further minimum of R2000 needs to be fundraised by 25 March 2019. The mission of Rainbows and Smiles is to provide emotional, social and financial support to families and caregivers in need when a child or children of that family is diagnosed with a life-threatening illness such as cancer. 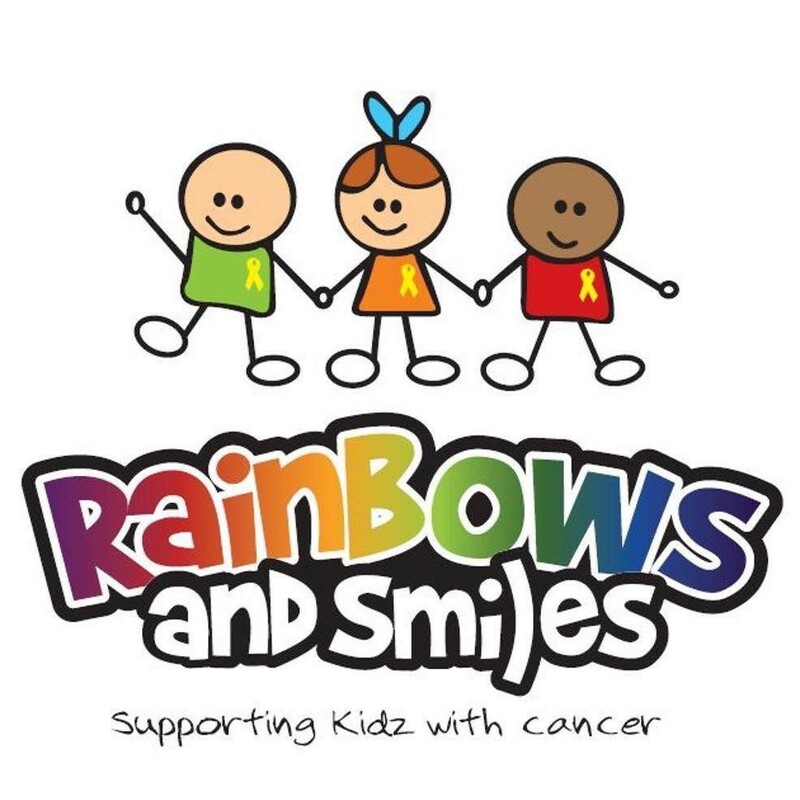 In addition, Rainbows and Smiles encourage childhood cancer advocacy to educate people, in the hope of promoting early detection. Rare Diseases affect 1 in 10 South Africans – whilst individually rare, collectively they are common. Rare Diseases SA advocates for improved quality of life for those affected by rare diseases and we encourage everyone to use their mobility for the benefit of those without it! Reach For A Dream fulfils the dreams of children who have been diagnosed with life-threatening illnesses between the ages of 3 – 18yrs. (skills and enterprise development), whilst helping with communities transformation. The SACANRUN campaign along with the ENDUROCAD satellite hubs is a national program with the elite Academy being based in Stellenbosch. Our objectives are to Identify and develop world class distance runners in South Africa. Professionally manage and support the careers of these athletes, assist each athlete in qualifying as a IAAF “Gold Label” elite athlete. Support the winning of more International, City, Olympic and Commonwealth marathon medals by South Africans and Build and profile distance running and runners in South Africa to inspire future generations. We currently have a strong focus on woman in sport. We launched the ‘Get our girls to Gold Campaign in 2016 to identify young female athletic talent through High Performances Skills and Assessment camps. The aim is to identify and select female athletes onto the Endurocad program with the long term objective of them achieving IAAf Gold Label Status and Representing SA at the Olympic Games. We provide people who are visually impaired, physically disabled and children with autism with independence, mobility and companionship through the use of a working dog. A down payment of R750 and the balance can be sponsored. We will assist with fundraising advice and with a crowd funding page on BackaBuddy, GivenGain as well as via our website. Sakhikamva is based in Cape Town, and is a registered non–profit organization involved in aviation awareness and skills development for the youth and children in the aerospace industry. The Foundation believes that the future of South African aerospace industry is anchored with the country’s highly talented youth, its mission being to identify and develop this talent in ensuring that a solid foundation is laid to feed the Science, Technology, Engineering and Mathematics (STEM) pipeline. It prides itself in building a future with the youth of South Africa and sets out to achieve its mission by hosting several programs and outreach projects each year. SANCCOB reverses the decline of seabird populations through the rescue, rehabilitation and release of ill, injured, abandoned and oiled seabirds. The organisation celebrates its 50th aniversary this year, and will open its new seabird hospital this November. At all times, dedicated and highly skilled staff, located both in the Eastern Cape and the Western Cape, ensure the highest standard of rehabilitation and veterinary care. 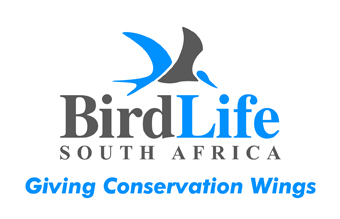 As part of its rehabilitation and conservation efforts, SANCCOB coordinates a network of first responders along the South African coast, individually marks all birds released to enable monitoring, and provides support to the seabird conservation government authorities. The organisation underpins all its rehabilitation and conservation work with effective education campaigns to the general public. • An adoption of a penguin. This is a pack which includes an unique penguin picture, certificate of adoption and history of the penguin. Runners will be able to choose their own name for their penguin. • A SANCCOB branded, eco-friendly shopping bag. • A SANCCOB branded baseball cap. • A SANCCOB branded African penguin fluffy keyring. • The shipping (via courier) of the goodie bag to any destination in South Africa or Namibia. “The Siyazana Youth Development Fund 196-524NPO was established after its founder and board met various adolescents who were born HIV positive and consulted them around the biggest issues that they face today (This meeting was held in conjunction with the Desmond Tutu HIV Foundation in Gugulethu, Cape Town). Without failure they highlighted the high unemployment rate between them but more importantly was the low level of skills and the high level of adolescents without a matric certificate due to them suffering of cognetive development issues as a direct result of them not getting ARV’s at an early stage of there development. SYDF was then establised to address these neds and concerns. 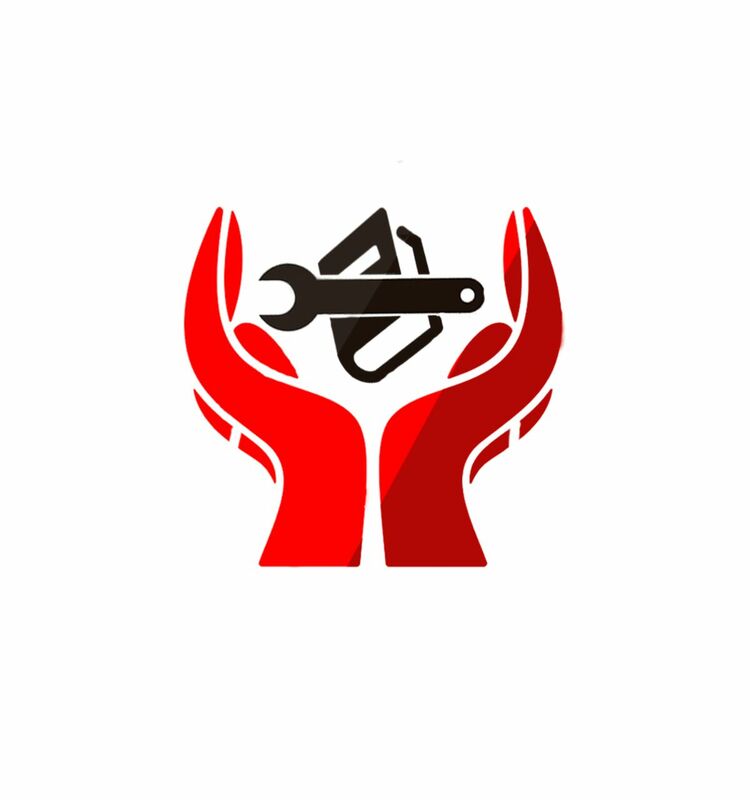 Where we are different to may orginisations who do similiar work to us is that we guarentee employment to our succesful beneficiaries after they completed the course. The training given is accredited and fully funded by SYDF and its partners. We build families for children in need and in doing so we help them shape their own futures. But we don’t leave our involvement there – we share in the development of their communities. We have cared for over 24 000 children over the years since we opened our first village in 1982. A global charity with a local heart, we provide care via our family-based care villages, our family strengthening programmes and our community service centres. Building Our Nation Through Education, One Scholar at a Time. The Spirit Education Foundation is a registered non-profit organisation based in Cape Town, South Africa, and was established in 1994 to provide opportunities for quality education to financially disadvantaged high school scholars. Through the awarding of educational scholarships, the Spirit Education Foundation provides financial support for high school tuition to financially disadvantaged scholars with a vision and will to succeed. This includes extra curricular support and mentoring to all scholars enrolled in our programme. • Fundraising advice, support and tips on how to confidently ask for support, including a standard appeal letter and a GivenGain activist link which can be used as a fundraising tool to share with and encourage friends, family and contacts to support you. • The personal satisfaction of running your race with the knowledge that you have made a difference by Building Our Nation Through Education! SLCH is an acknowledged leader in palliative care, and has been awarded Five Star status by the Hospice Palliative Care Association (HCPA) in accordance with Health Professions Council of SA (HPCSA) standards. Furthermore, SLCH is accredited by the Council for Health Service of Southern Africa, and the Health and Welfare Sector Education and Training Authority (HWSETA). It is our undertaking to maintain and extend our services of excellence in palliative care and to input into the National Policy Framework and Strategy for Palliative Care in South Africa. 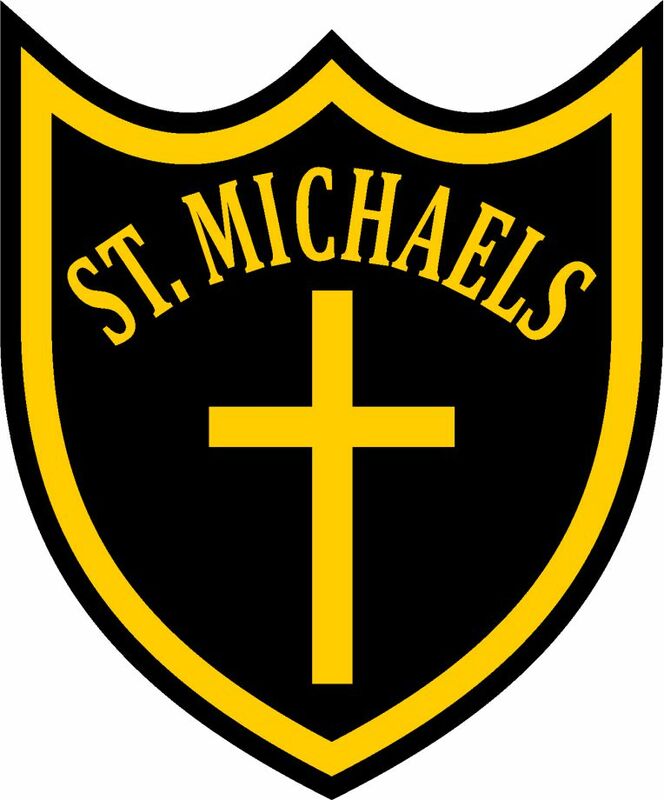 St Michael’s Primary School is a small independent anglican school in Harare, Khayelitsha, that takes children from the surrounding area from Grade R to Grade 7. Tuition is provided in English and isiXhosa to achieve fluency in English by Grade 7. St Michael’s aspires to be a centre of excellence in primary education in Khayelitsha. The cost of an entry is R1,200 for the Half Marathon and R1,600 for the Ultra Marathon. Runners will be offered a guided tour of the school and the surrounding area, with transport from within Greater Cape Town, and will be offered a pre-race dinner with fellow runners. Starfish empowers Community-based Organisations (CBO) invested in improving the life outcomes of children orphaned or vulnerable in South Africa. By funding and training these grass-roots organisations we are ensuring a measurable improvement in the lives of over 12 000 children annually through partnerships with 28 CBOs. STEPP provides access to education to South Africans. Over 500 scholars participate in literacy partnerships weekly through our literacy programs. In SA 59% of Grade 4 pupils cannot read English with understanding [Child Gauge, 2017]. This impacts on their ability to pass all subjects in Grade 12. STEPP provides English literacy from Grade 1-7 in multiple schools and we also partner in sport, occupational therapy health care and Making Libraries Happen. Have a great run as you support us step by STEPP. The Care Bear Project was started in 2015 and is a community project uplifting local rural communities, by providing employment for the families, and by using the product of their work, the bears, as a means of bringing joy to the children in these communities – many of whom have never received a new toy in their lives. The Chaeli Campaign is a social justice foundation that provides a holistic range of services to support differently-abled children and young adults as catalysts of change. The work done through The Chaeli Campaign is true to its maxim: For Kids Like Chaeli and through its programmes constantly grows a more ability-focused and inclusive world. Our goal is achieved through the provision of assistive devices, therapies, supporting inclusive education and running various advocacy events and programmes. 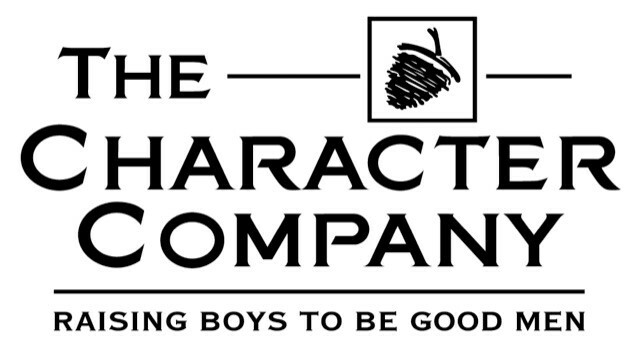 The Character Company is a long term MENtorship program for young boys growing up with absent fathers. Through dedicated weekly MENtorship sessions, monthly activities, monthly and school holiday camps by dedicated, screened, vetted and trained positive male role models we are actively and decisively raising boys to be good men for a better future for our country. Ultra Marathon – R1100 per entry (including branded Feenix running vest) and requirement to raise an additional R10 000.00 for a student on the platform (student can be chosen at runners discretion). Greenpop is an award-winning non-profit organisation. We envisage a world where people and nature thrive together. We’re on a mission to plant trees, green communities and empower environmental stewards across southern Africa. Greenpop works on urban greening, reforestation and environmental stewardship. We were founded in 2010 and have since planted over 100 000 trees and inspired over 132 000 budding eco-heros at schools and other urban sites as well as forests and farms across South Africa, Zambia and Tanzania. Through our work, we combat climate change, restart water cycles, turn urban deserts into regenerative landscapes that can provide nutrition, employment, education and economic opportunity. 1. REFORESTATION: To plant indigenous trees in reforestation projects to re-grow and re-habilitate the forests of Southern Africa. 2. URBAN GREENING: To plant valuable trees and other plants in urban spaces to green under-greened communities. 3. ENVIRONMENTAL STEWARDSHIP: To increase the number of citizens who are empowered to live sustainably and care for the environment – living in connection with the earth, our food sources and our communities. Greenpop’s beliefs:1. We believe in (re)connecting people with our planet. 2. We believe in getting active (not anxious) about the future of our planet. 3. We believe that changing the world is fun. The first 50 runners to raise 15 trees (R1 800) via GivenGain will receive a Two Ocean’s Half Marathon race entry. Raise 30 Trees (ZAR3 600) and receive a hamper of Greenpop merchandise! Raise the most trees of all the Two Oceans Greenpop activists and win an extra special prize – to be announced soon! The Living Link is a non-profit organisation that caters for the intellectually disabled and learning challenged community regardless of race, gender and religious background. It aims to encourage, enhance and support the development of intellectually disabled adults, helping them attain a high quality of life. We have training centers in both Johannesburg and Cape Town. Pebbles is currently supporting over 1600 children aged 0 – 18 and their families in the farming communities in Somerset West, Stellenbosch, Paarl, Wellington and Citrusdal. The majority of our beneficiaries are children of wine farm workers who live on the various farms in often challenging circumstances. Alcohol abuse, poverty, lack of access to education, health and other essential services all contribute to the reason why Pebbles exists. Pebbles has 5 main pillars – education, health, nutrition, community and protection, with the core focus on providing quality education. We understand that effective learning only takes place when several key factors, which may affect the learning process, are addressed. Our holistic, 5 pillar approach allows us to assist children, not only with their education, but also with other factors that will affect the child’s ability to learn, thereby ensuring that children are given the best chance at success. The RBPS Vuleka Trust was established at the beginning of 2012 by a group of RBPS ‘old boys’ with the aim of ‘opening doors’ (Vuleka meaning to open) to a high standard of education for pupils of previously disadvantaged backgrounds who are eligible and selected for enrollment into Rondebosch Boys Preparatory School but whose families are not in a financial position to afford such. Vuleka is also about opening up the school, to help it to embrace the challenges of our new democracy and be a positive role player in the transformation of our society. Run4Schools organizes and finances in and after school sports, music and dance programs for the underprivileged children of township Mitchells Plain. Run4Schools started in Mitchells Plain in 2004 and inspires many young lives. Our South African professional sports coaches work at three primary and one high school. Due to our programs, Run4Schools prevents that children hang around in the streets, or get involved in criminal activities, alcohol or drugs. The children have tons of fun while playing with other children and gain self confidence at the same time. By organizing and participating in several runs, Run4Schools raises funds to support their activities and the children in Mitchells Plain. If you would like to contribute to this amazing cause by participating in the Two Oceans Marathon Run4Schools Running Team 2019, thank you very much! TSiBA is a unique social enterprise collective that provides future-focused business education to ambitious and highly energised individuals and emerging businesses. Including an accredited Business School, an Ignition Academy and an Education Trust the TSiBA collective stands out as a trailblazer in an ever changing business education landscape. The Business School is an accredited, higher education institution offering graduate and post-graduate business qualifications. The Business School aims to prepare exceptional and ambitious students from under-served communities to have a profound impact on their world and their future. We believe in providing our students with the most diverse, world-class and rewarding business education. This is supported by generous tuition scholarships which ensure that students contribute towards their tuition at relative levels of affordability. By fusing the rush of surfing with evidence-based mind/body therapy, Waves for Change provides a child-friendly mental health service to vulnerable and differently-abled youth living in under-resourced communities. Our surf therapy programme provides children with safe spaces, caring mentors, weekly surf sessions; helping children to develop skills to cope with life’s challenges and make positive life choices. The Women’s Property Network was established in 2000 to create a forum for women in a predominantly male industry to join together to exchange information, develop business contacts and enhance professional success. There are chapters in Gauteng, KwaZulu-Natal, the Western and Eastern Capes, with over 800 members countrywide. In line with its objectives, the WPN is looking to provide further education to women in the commercial property sector. In addition it seeks to actively support previously disadvantaged women and assist all junior women to grow in the industry and further their career objectives. In order to achieve this, The Women’s Property Network Educational Trust has been set up. We are a residential facility for Profoundly Mentally and Physically Challenged Children and young Adults. All entrants will receive a branded Running Vest and be requested to raise an additional R3000. Prize of a Nespresso Coffee Machine for the entrant who raises the most funds above R3000. WWF is the world’s largest and most respected independent conservation organisation, with over six million supporters and a global network active in over 100 countries. WWF’s mission is to stop the degradation of the earth’s natural environment and to build a future in which humans live in harmony with nature, by conserving the world’s biological diversity, ensuring that the use of renewable natural resources is sustainable, and promoting the reduction of pollution and wasteful consumption.